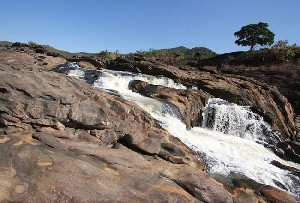 Located around 100 km from Sambalpur, near Deogarh in Orissa, Pradhanpat falls are great to spend a peaceful holiday. 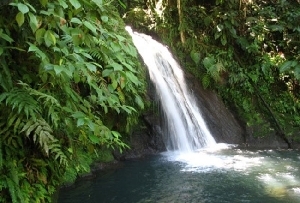 Blessed with pristine beauty of hills and thick forests, the waterfall is unique in its own way. 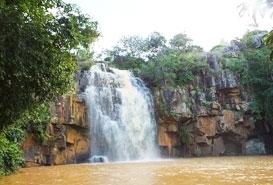 Settled amidst the green jungles, the falls seem to make a roaring echo. 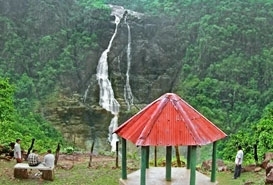 Tourists also found this place as an ideal picnic spot. 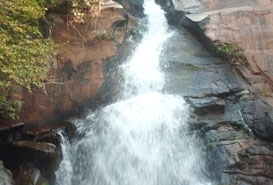 Relish the wonderful view of water cascading down from a particular height. 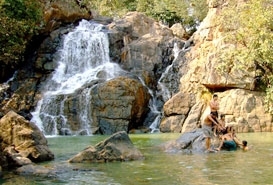 Pradhanpat waterfall is one of the most popular tourist attractions in Orissa. 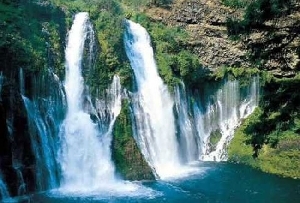 Further, if you are planning for a stay near the falls, you can go for a few guest houses placed close to the waterfalls. 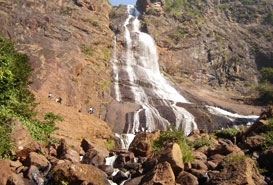 Excursion to Deogarh temples like Gopinath, Jagannath and Gokarneswara are also of great experience.